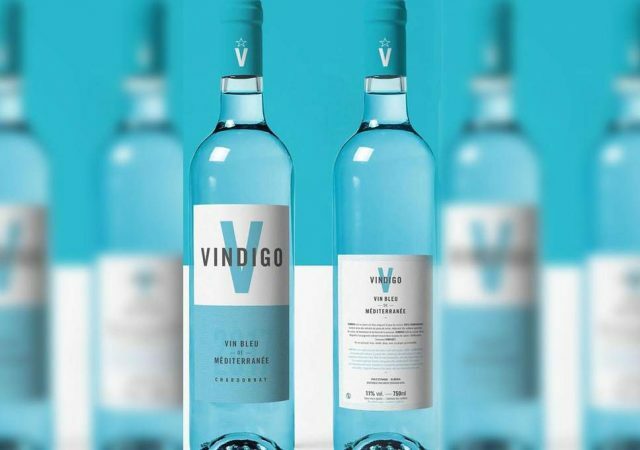 French entrepreneur René Le Bail is on a mission to turn his fellow countrymen into a nation of red, white and blue wine drinkers with the launch of ‘Vindigo’. As reported by The Telegraph, Le Bail originally intended to make blue wine Vindigo in France but was met with resistance. Settling on Spain instead, he teamed up with a winemaker in Almeria and began working on a Chardonnay that gets its sea blue colour from a natural pigment found in red grape skins called anthocyanin, which is often used as a food additive. According to Le Bail the wine boasts aromas of cherry, blackberry and passion fruit, and pairs well with seafood and oysters. Around 35,000 bottles of Vindigo have gone on sale in Sète, a port city in the South of France, at €12 a bottle and the turquoise tipple is proving particularly popular with women. “Women appreciate it very much. It is an ideal wine for the summer, to drink on the sand or at the edge of the swimming pool,” Le Bail said. Sales have already surpassed Le Bail’s expectations and he will soon be flogging it in the heart of French wine county – Bordeaux. Le Bail isn’t giving up on his dream to make blue wine in France, but first he intends to export Vindigo to the UK, China, Indonesia, Italy and Belgium. Last October the first blue sparkling wine made from French grapes launched in the UK. Eden, made from Chardonnay from Provence, has a high dosage of 38g/l and is said to offer aromas of white peach and passion fruit. French-born, London-based entrepreneur Aymeric V Bruneau, took inspiration from artist Yves Klein’s trademarked International Klein Blue for the colour of the wine. Last May Blumond, a 7% abv ‘wine’ made from a blend of Prosecco, blue curaçao and peach sparked outrage in Italy, where it was called an “insult” to tradition by Wladimiro Gobbo, a member of Italy’s Sommelier Association. Last August English entrepreneur Chris Arbery launched a blue ‘Cava’ in the UK called Skyfall made from a blend of Macabeu, Parellada, Xarel-lo and Chardonnay in Sant Sadurni d’Anoia in Penedès. 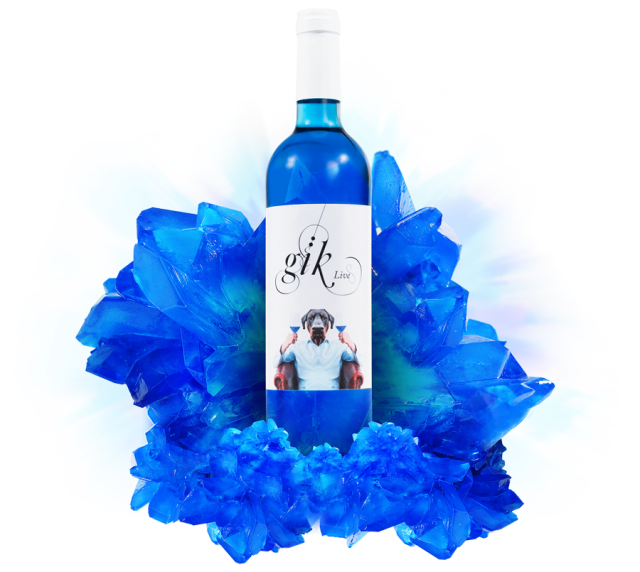 The first known blue wine – Gik – made by a group of young Spaniards in Bierzo, went on sale in 2015.
and there i was thinking that gimmicks were limited to the spirit drinks world! Not the first blue wine. In Australia, Penfolds released a sparkling, Blue Rhapsody, way back in the 1970’s.